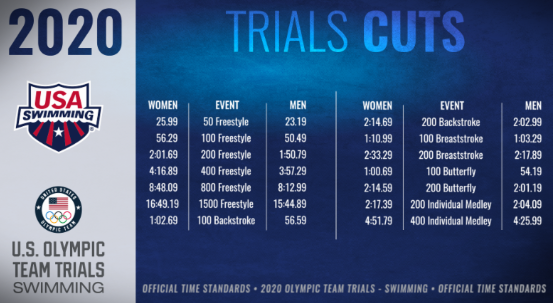 North Carolina Swimming will be tracking its Olympic Trials Qualifiers between now and the 2020 Olympic Trials in Omaha. We’re off to a great start with lots of OTQ times at the first qualifying meet – the 2018 USA Swimming Winter National Championships in Greensboro. NCS current qualifiers include the nation’s three youngest; 14-year-olds Claire Curzan (TAC), Charlotte Hook (TAC), and Grace Rainey (MAC) each qualified. Congratulations to all the qualifiers! Below are the lists of NCS swimmers who swam qualifying times last week in Greensboro. Stay tuned for updates as the list continues to grow over the next two years!